The new CLAW™ feature is for OWLS® WHO™ and shark-o™ orthoses. Diabetic and nondiabetic Charcot joint neuropathy presents the need for orthotic designs to accommodate, correct, unload, and/or alter specific gait dynamics. The CLAW technology was developed to enhance the OWLS WHO and shark-o designs by improving orthotic fit and increasing patient function. Triplanar adjustments allow quick and easy alignment changes to optimize each patient's walking characteristics. The CLAW allows for progressive adjustments to accommodate these many variables, and are all performed in the patient fitting room. Learn more online. Apis Footwear is proud to present and introduce the complete new line of Mt. Emey Footwear. Six new styles revamp and reenergize our already impressive collection. The new styles offer a highly demanded athletic fit with wider options, and one comes with its own built-in composite toe box. These styles include solid, EVA-injected midsoles, removable insoles for flexible fitting, and elongated counters for superior support. They are ideal for accommodating hard-to-fit feet, as well as braces and custom insoles. The Guardian knee is a lightweight mechanical knee joint featuring a friction brake for stance control, stance flexion, and extension assist. It's best suited as a rehabilitation tool for new patients to learn standing and walking during the rehabilitation process, and as a permanent knee for low-impact patients. The Guardian also has a remote lock feature that can be disengaged as the patient progresses to provide the full 145 degrees of anatomical motion. With real-time control and an unprecedented four-axis design, the Meridium® micro-processor foot has taken a giant step closer to approximating the human foot. Perfect for your low- to mid-K3 patients who are looking for a more natural gait pattern plus enhanced stability and safety. Ask your sales representative or visit www.professionals.ottobockus.com for more details. The i-limb® product range combines functionality with style. 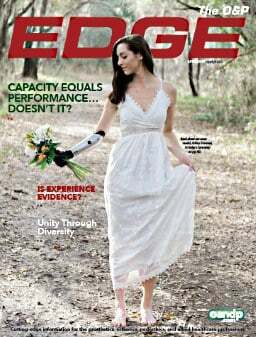 Individually motorized digits, stall detection, and the unique software used to control the i-limb hands result in highly versatile prosthetic hands optimized to meet the needs of your varied patient population. 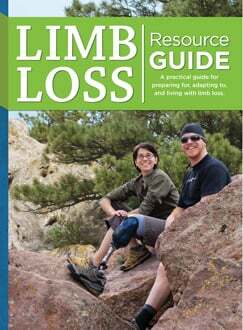 Visit www.ossur.com/touch or ask your Össur rep about i-limb today. The iFIT Prosthesis is an ideal solution for patients with frequent limb volume changes. As a preparatory device it can shape and shrink the limb. As a definitive socket it accommodates daily limb changes. K and H series 2U (independent transfers and assisted ADLs) and 1A (independent assisted and unassisted transfers) feet are now available in medium heel heights. Medium heel height is also available with all AFP feet to include Syme's. Call or visit our website for more information. Tillges Technologies, practitioner owned and operated, is the go-to central fabrication facility for your orthotic and prosthetic needs. Specializing in pre-preg bracing technology, our highly skilled and qualified technicians collaborate with our certified practitioners in fabricating all our custom-made devices. We pride ourselves on LEAN initiatives to reduce lead times and to continuously improve our quality standards on the products and services we provide. Tillges Technologies – Engage in technology. Improve outcome and enhance care. Learn more on our website. The Vista Ankle HY is a hydraulic ankle joint designed for elevated vacuum applications. The vacuum is generated from the cyclic ankle movements during gait. The hydraulic damping (dorsiflexion and plantarflexion) can be infinitely tuned to achieve the perfect balance between stability and mobility for walking on slopes or varied terrain. The distal female pyramid adapter is compatible with a wide range of prosthetic feet. Our new Mt. Emey diabetic shoe line is redesigned with an all new look. This shoe line meets PDAC standards and are coded under A5500. We use quality materials in the products to make sure they are durable and offer great value. We are determined to increase your bottom line and enhance patient's compliance at the same time. For more information or to request free display samples, call us at 888.937.2747. Designed with the end user in mind, the ECO Liner is the newest seamless liner by ALPS. Featuring ALPS HD Gel, the firm nature of the gel provides active amputees with a great degree of control while still providing superior comfort. In addition, it utilizes a new distal construction with reduced stretch to control distal distraction.